Kathleen, LMSW, of Dallas, Texas has received the annual Merit Award from the National Kidney Foundation's Council of Nephrology Social Workers (CNSW). 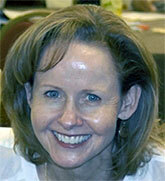 Kathleen, LMSW, of Dallas, Texas received the NKF’s CNSW Merit Award. Kathleen has been a leader in the Dallas nephrology social work community for over 20 years and has mentored many new nephrology social workers. She works collaboratively in bringing community agencies together on behalf of End Stage Renal Disease (ESRD) patients and is well-respected by staff and patients alike. She has served as Chair, Secretary, and Treasurer of the North Texas-CNSW Chapter, and on its Internal Affairs Committee. She is a past North Texas CNSW New Worker Award winner and national CNSW New Worker Award winner. She worked with the Chapter on several research projects regarding nephrology social work interventions and the effects of caseload size on patient satisfaction, nephrology social work quality indicators, and the Living Longer, Living Better program. Kathleen presented to the Texas State Board of Health on behalf of ratios for Texas social workers during the development of state licensing for ESRD. Her leadership and support were most valuable in establishing social work ratios in Texas. She has also served on Dallas Area Rapid Transport (DART) Para-transit Accessibility Advisory Group (PAAG), advocating for continued legislative and financial support of the Texas Kidney Health Care program. In her facility, Kathleen has been instrumental in facilitating patient advocacy meetings, coordinating staff and patient education programs, and assisting in organizing staff and patient participation in the annual NKF Kidney Walk. She was the driving force behind implementation of an exercise program using stationary peddler units. She educated staff and administration at a local and regional level, and developed an incentive program to encourage participation.